Our range of products include mini eelctric hoist, ratchet machine, lever hoists and ratchet lever hoist. 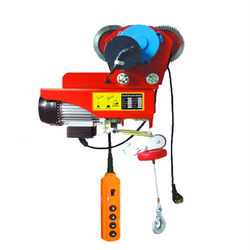 Backed by a team of dexterous professionals, we are engaged in manufacturing, distributing and supplying a wide range of Mini Eelctric Hoist. A hoist is a device used for lifting or lowering a load by means of a drum or lift-wheel around which rope or chain wraps. It may be manually operated, electrically or pneumatically driven and may use chain, fiber or wire rope as its lifting medium. 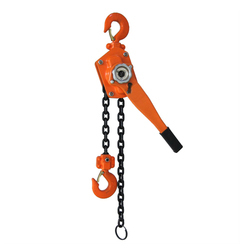 The load is attached to the hoist by means of a lifting hook. 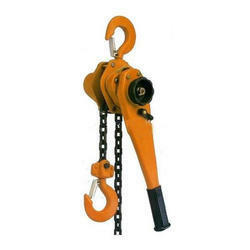 We are offering Lever Hoists.